All the dogs are snuffling snuffling (think LMFAO Party Rock Anthem). 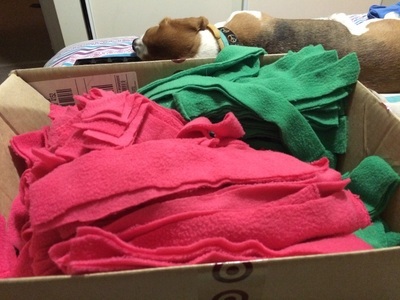 A snuffle mat is a great easy to make (although a little time consuming) enrichment toy for your dog or cat. This can be used for dry food or dry treats and encourages your pets natural skills at sniffing and snuffling food out. Cut the fleece into strips approximately 2cm wide and 20-25cm long. You don’t have to be perfect. 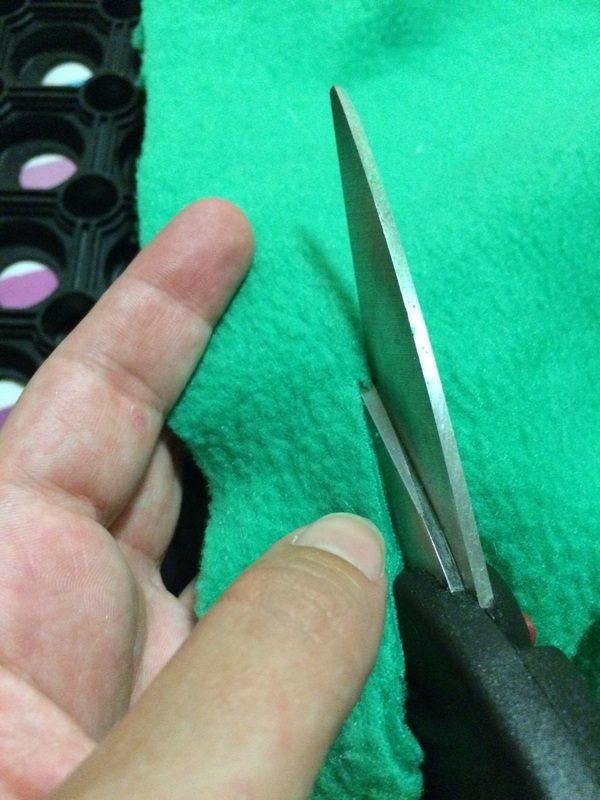 Cut a lot – you will be surprised at how much you need. 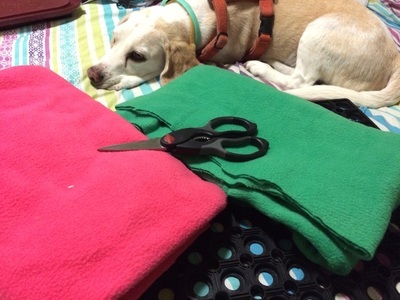 Begin making the mat by looping a piece of fleece through 2 holes and tying a knot. The knot side is the side that your dog/cat will be working in – however it is actually easier to work from the underside to push the material through. Work by filling in the edges initially, before covering the rest of the mat. When you have finished – give the mat to your dog and sprinkle some dry food over the top. 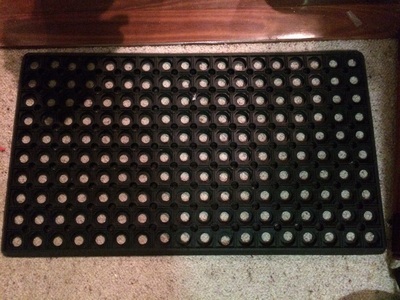 You can make it harder by gently scruffling the mat as you pour the food over – they will fall deeper into the layers.